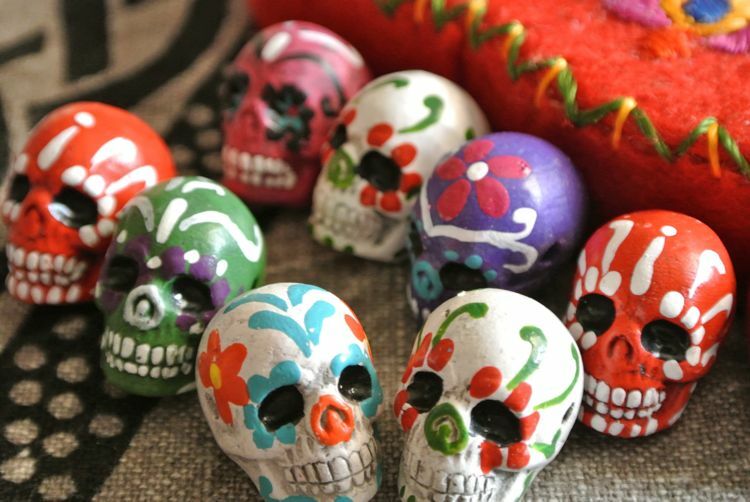 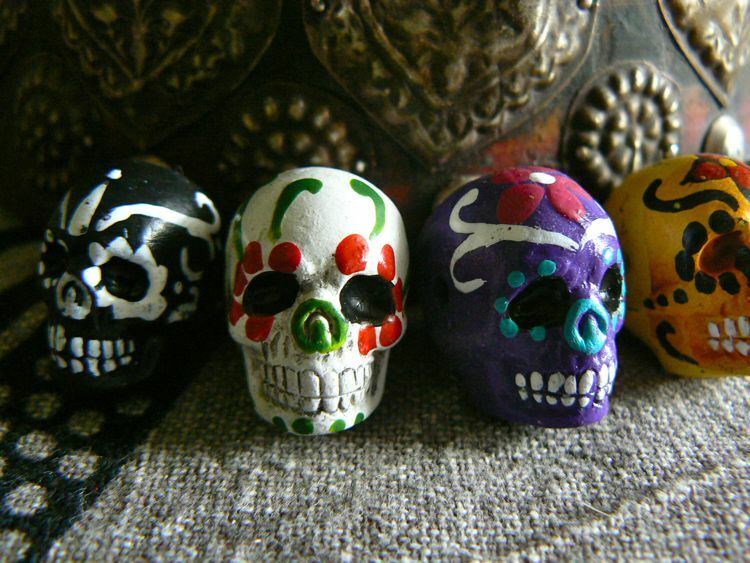 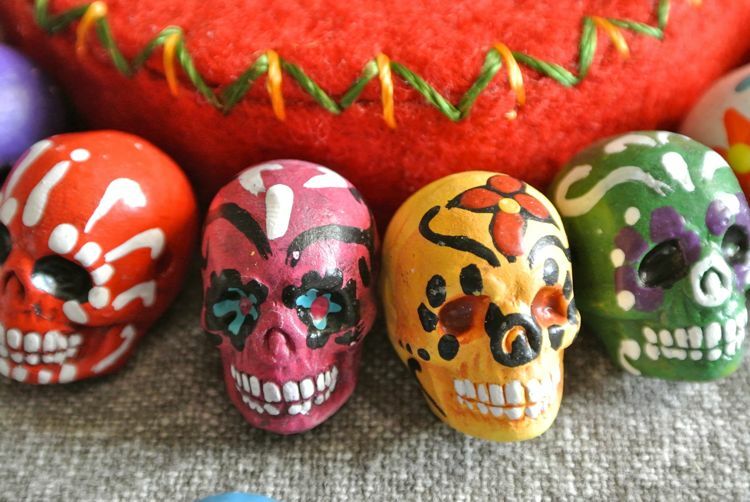 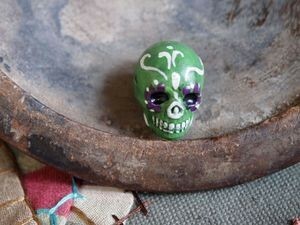 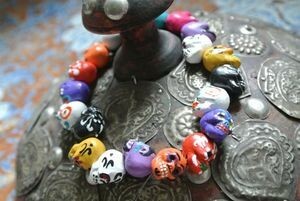 Large porcelain ceramic skull beads with handpainted Day of the Dead designs in assorted colors. 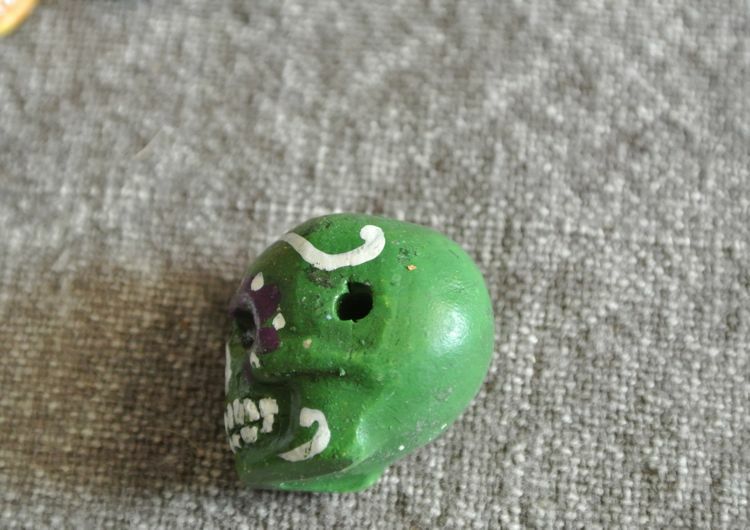 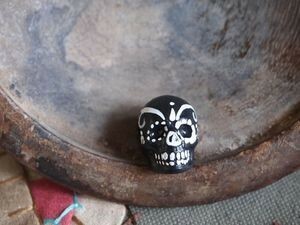 Similary to our large raku rounded skull beads. 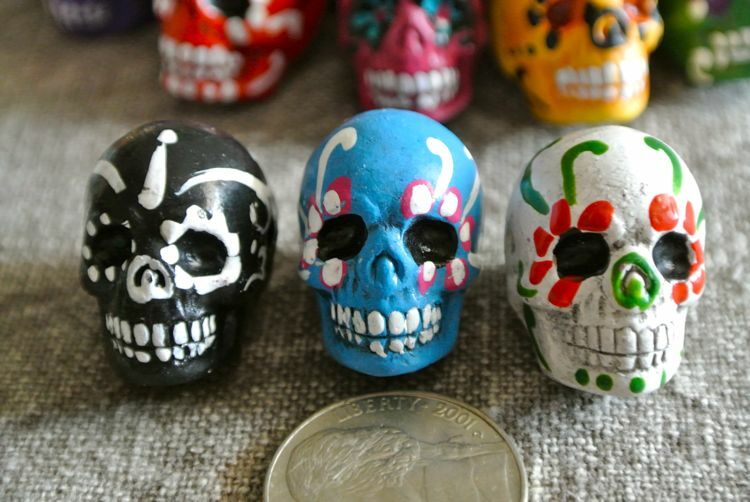 These measure approximately 16x22mm, with a horizontal (side to side) 3mm hole. 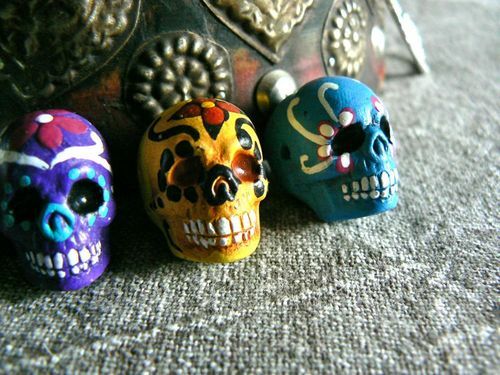 Let us select a color for you. 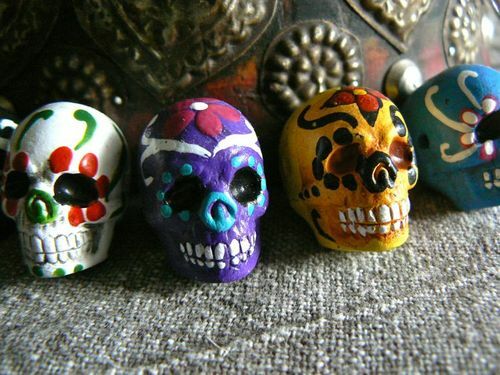 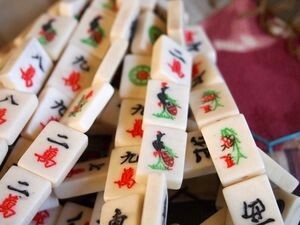 Each one is different!